With the sheer number of messages users receive daily, it can be easy to forget to respond to an important email from a client, friend, or family member. FortisMail lowers this risk with the ability to mark emails for follow-up, ensuring that important emails can be identified at a glance. Use FortisMail to manage multiple email accounts. Users can send and receive messages from any POP, IMAP and SMTP email accounts and configure different signatures to use with each account. Because most users send email to the same recipients, FortisMail automatically pulls email addresses from sent messages, contacts lists, aliases, mailing lists and the Global Address List (GAL) and uses them to auto-complete the To, Cc and Bcc fields of new messages and appointment invitations. 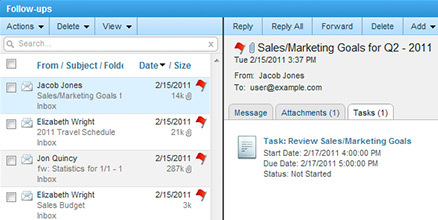 Because email exchanges often result in new tasks, FortisMail includes the ability to link a message to a task. By linking emails and tasks together, users can ensure relevant communications regarding a task are always easily accessible and available. 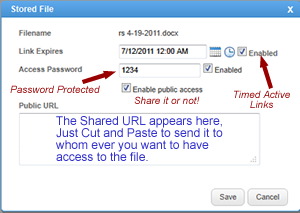 Users can upload files to their own FortisMail Data Storage mailbox and then have the ability to securely share files with the public or with specific people. You can easily send files of all sizes to friends, family and business associates. By uploading files to the server and sharing them through public links, users will never have to worry that a file is too large. With the benefit of being able to password protect the file, combined with the fact that all of Fortismail's communication is done on an SSL connection, you can share sensitive documents with others without the worries that are associated with emailing a document. Emailing a contact, mapping an address or adding an email address to your contacts list has never been easier. 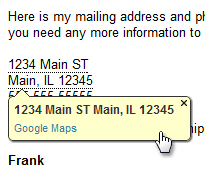 FortisMail's Active Link feature turns addresses, phone numbers and email addresses into links for click-to-map, click-to-call and click-to-mail functionality. With FortisMail’s search capabilities, users can find any message, appointment, attachment, contact, task or note with just one click. 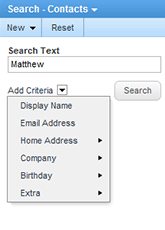 The intuitive system uses the latest indexing technologies which results in increased speed of the search results. With FortisMail's built-in mailbox migration tool, new users can easily transfer their email and collaboration items from another provider to their new mailbox. With its easy-to-understand instructions, the mailbox migration tool guides users through these tasks without help from the administrator.